LAS CRUCES, N.M. — A report by NASA’s inspector general Oct. 10 criticized both NASA and Boeing for delays and cost overruns in the development of a key component of the Space Launch System, and warned of more delays and overruns to come. The report by the Office of Inspector General (OIG) concluded that Boeing had done a poor job managing development of the core stage of the SLS while NASA did insufficient oversight of that contract, resulting in a doubling of the program’s costs and delays of several years. The SLS core stage is the central element of the SLS, consisting of a modified version of the space shuttle’s external tank with four RS-25 engines mounted in its base. 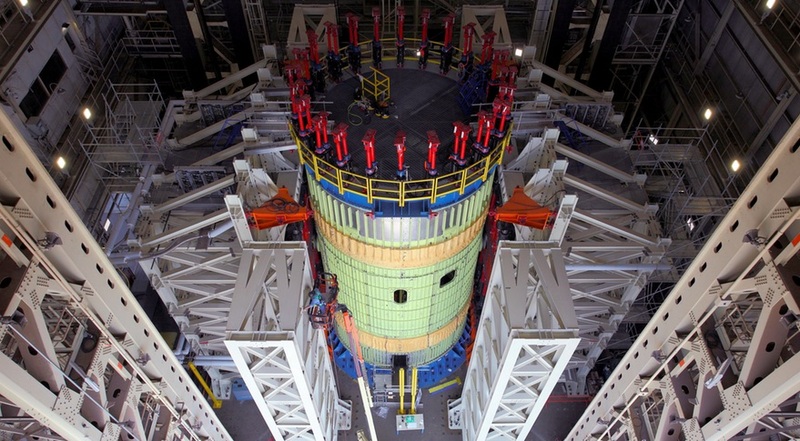 Boeing received a contract from NASA in June 2014 valued at nearly $4.2 billion to build the first two SLS core stages. That contract has grown to more than $6.2 billion as of the latest contract modification in January, the OIG reported. That is still insufficient to cover the completion of the two core stages, and the report concluded the total cost of the contract will grow to $8.9 billion by the time second core stage is completed in 2021. Schedules have also slipped, noting that the first SLS flight, Exploration Mission (EM) 1, has been delayed from late 2017 to mid-2020. The OIG suggested further delays in EM-1 were likely. “In light of the Project’s development delays, we have concluded NASA will be unable to meet its EM-1 launch window currently scheduled between December 2019 and June 2020,” the report concluded. NASA, though, did not escape blame for the SLS core stage problems in the report. The OIG concluded NASA lacked sufficient visibility into the program because work on the SLS core stages is “co-mingled” into the same contract line item as its work on the Exploration Upper stage. The OIG report made several recommendations to NASA to improve management and oversight of the core stage program. NASA, in its response included in the report, accepted all the recommendations except one regarding the use of “adjectival” ratings like “excellent” and “very good” by contracting officers. Bill Gerstenmaier, NASA associate administrator for human exploration and operations, said in that response that issues associated with “first-time production technical challenges” led to the cost and schedule overruns. “NASA is designing and implementing manufacturing capability to efficiently produce, test, and qualify spaceflight hardware for long-term use, to human rating standards, on a scale never achieved before,” he wrote. John Shannon, vice president and program manager for the SLS program at Boeing, offered similar comments during a teleconference with reporters last week. The company, he said, had underestimated the amount of work needed to modify shuttle-heritage hardware for SLS. In a statement to SpaceNews, Boeing said it had already implemented changes to improve the management of the SLS core stage. “The program described in the OIG’s report does not represent the Space Launch System (SLS) program today,” the company said.